When new technology hits the market, it usually replaces the old. USB 3.0 replaced USB 2.0. 4G replaced 3G. The first WiFi cards replaced Ethernet. Wireless speakers are the exception. A Bluetooth speaker doesn’t replace your wired home stereo. It might be cheaper, easier to use, and more portable than your home system. But the sound quality just doesn’t compare. With that mindset, the Beosound 2 might not make much sense. It’s much larger than most portable speakers, significantly more expensive, and certainly not the kind of thing you’d take to the beach. 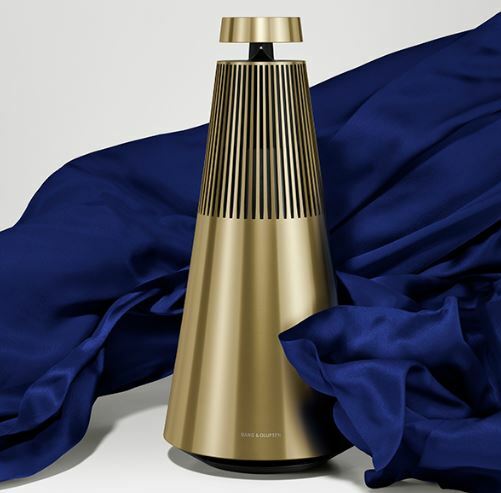 But the Beosound 2 isn’t your average WiFi speaker. 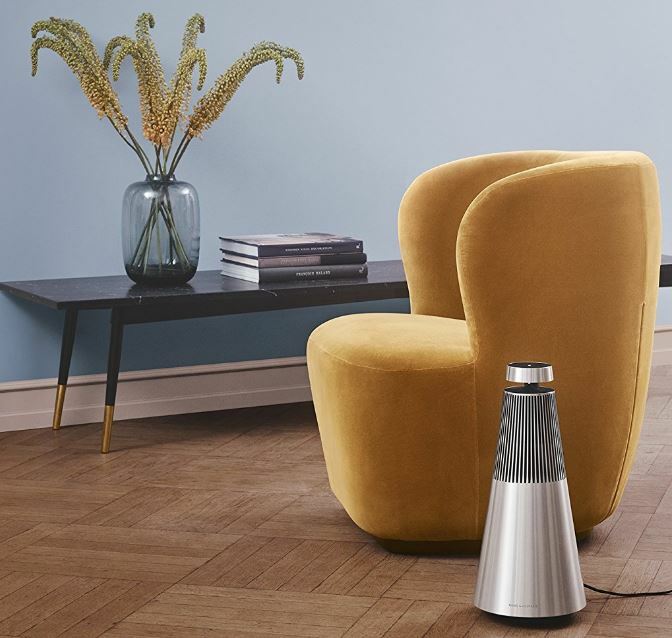 Bang & Olufsen’s BeoSound line is designed to combine high end audio with the convenience of modern technology. 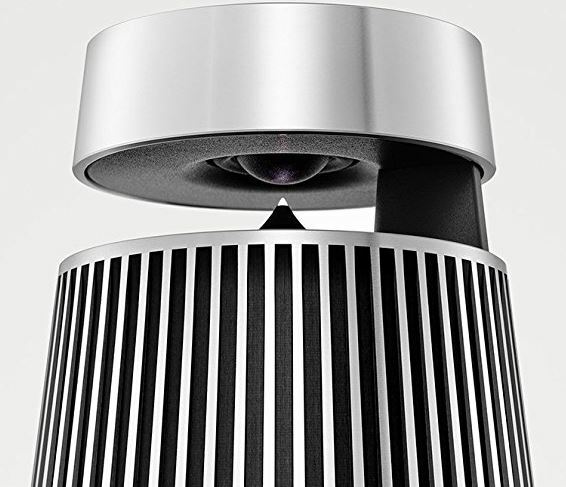 The BeoSound 2 is the top of the line speaker in this range, representing the reference point that all other models should be measured against. Having tested the BeoSound 1 and 35 already, we know what to expect. But is the BeoSound 2 worth the premium price tag? We decided to find out for ourselves. The BeoSound 2 is a deceptively small speaker. It’s only about a foot and a half tall, and 8 inches wide at the base. But with the high-end drivers and aluminum frame, it still has a little heft to it. 4.1KG is certainly luggable, but you can be sure that it’s not moving anywhere once placed on the ground. 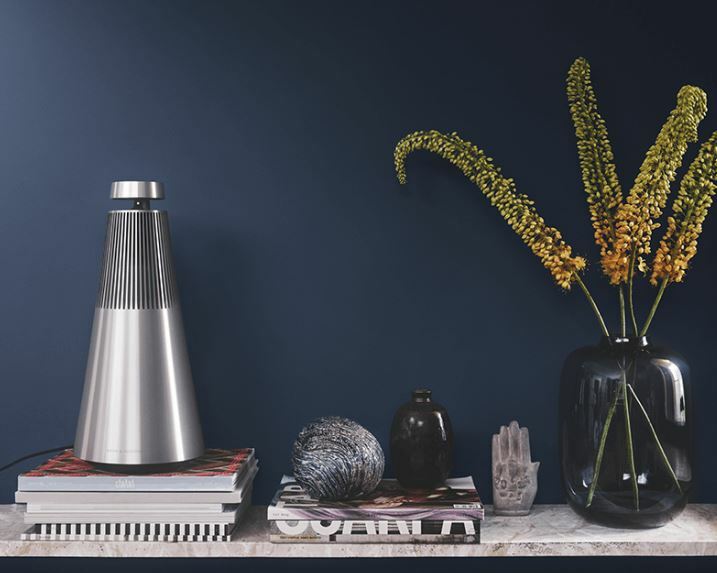 The BeoSound 2 is a fully featured wireless speaker, offering virtually every protocol under the sun. Basic controls are hidden in the ultra-modern design, but the speaker is generally designed to be controlled by your smartphone. The design may be a little unconventional, but all of the basics are there. That being said, this speaker is anything but basic. B&O’s modern design is iconic of the brand. They want their speakers to be an equal blend of technology and art. To achieve this, B&O works some of the most respected designers in the country. 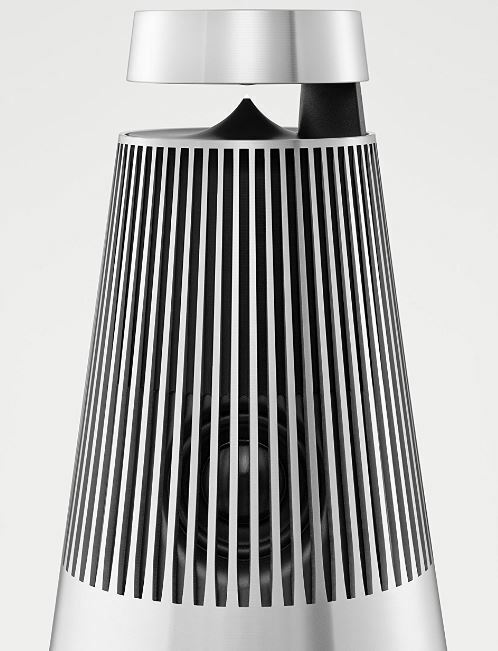 The BeoSound 2 was designed by Torsten Valeur and David Lewis Designers. Their design was inspired by the on-demand nature of modern society. Torsten wanted to create something that was independent from special restrictions, so you can place it wherever you like. This is achieved through the tapered cylindrical shape of the enclosure. You can place it on the floor, a table, or even a stack of paperback books. It’s unlikely to tip over, as it has very little weight in the top. A built-in battery allows you to use it away from electrical outlets, making the speaker reasonably portable. But just as the design is functional, it’s also visually striking. The contrast between the pristine aluminum and the lightless acoustic grooves draws your eyes in, while the floating control panel has a subtle yet unnerving appearance. If you look closely, you’ll realize that the upper panel is supported by a solid beam. But it’s positioning makes it almost invisible, unless you bring it to eye level. Upon closer inspection, we were really amazed at the build quality. The BeoSound 2 is built like a piece of fine machinery, with some of the cleanest edges and tightest tolerances we’ve come across. One thing is certain – if you place one of these in your home, it’s bound to be noticed. If you want to get the BeoSound 2 up and running, you’ll need to download the free app on your phone. When first plugged in, the speaker creates its own WiFi network. The app will automatically connect, and prompt you to enter your WiFi details. From here, you can control media playback just like you were using Spotify. Audio can be streamed directly to the speaker over the network, or through one of the built-in services. It supports Spotify, Deezer, Qplay, TuneIn, and internet radio broadcasts. You can also stream files directly from your devices over Google Cast, AirPlay, DLNA, or B&O’s own BeoMusic app. FLAC, AAC, MP3, and a number of high end files, both copy protected and open, can be streamed from any NAS drive or shared network resource. Although the app gives you advanced controls, you’re not going to want to unlock your phone just to tweak the volume. The black cap on the top of the speaker is actually a volume knob, so you can simply rotate it to adjust. You can swipe left or right to change tracks, double tap to change audio source, or give it a single tap to power off. Since the speaker is round, you might be wondering how it knows which way is left or right. This is where things get space-age. There are proximity sensors buried all around the speaker. It can sense where you are standing, and the controls are adjusted relative to your body position. If you’re building an elite system, you’re able to connect multiple BeoSound speakers together to create a multi room system. You can have them all playing from the same source, or you can divide them up and use them separately. 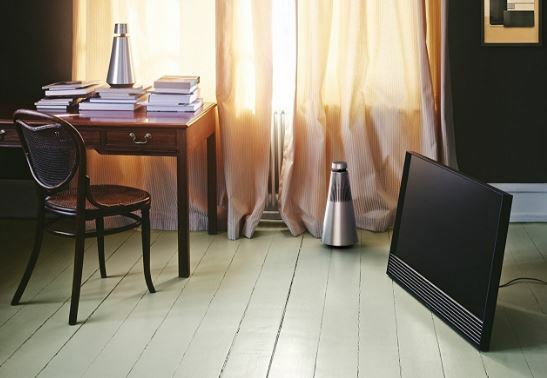 Physically, this speaker is adaptable enough that it can be placed anywhere you like. But there is one problem with this design. Anyone who’s listed to audiophile-grade speakers knows that acoustic placement is extremely important. If they’re not directed towards your ears, you’re missing out on the subtle nuances of the sound. While that might be true for virtually every other speaker on the market, the BeoSound 2 has a unique design that immerses you in 360-degree audio. Just below the floating control panel, you’ll see a small pointed plastic lens. This is actually an acoustic lens. Soundwaves are directed straight down onto it, which are then dispersed evenly throughout the room. The same is done with the bottom-mounted woofer, and the central mid-range. The effect is incredible, and must be heard to be appreciated. It feels as if the entire room is coated with a blanket of sound, the source of which is only vaguely discernable. The effect is heavily enhanced by the premium drivers used, featuring an acoustic signature unlike any other speaker we’ve heard. Listening to them is like peeling back the layers of an onion. The first thing you notice is the clarity and precision. When listening to acoustic or classical music, all of these subtle elements are brought to life, as if your senses have just been heightened. Our favorite songs felt more articulate and precise, making it easy to get involved in the music. But once the shock wears off, you’ll start to notice more subtleties. The way separate notes harmonize feels a lot more natural, and the slightly elevated bass gives a warm feel to the music. At this level, speakers aren’t easily graded as “better” or “worse” than other brands. Instead, each one takes a slightly different approach, adding a unique flavor the sound. B&Os signature sound is certainly warm, but controlled and detailed. Moderate volumes are great for critical listening, but there are always those times when you want your music loud. The BeoSound 2 will certainly deliver. Once we approached 80% volume, the sound was uncomfortably loud. It’s shocking how much volume can be produced by such a compact speaker. It’s highly unlikely that you’ll ever be using them at full volume. B&O took a pretty unique approach with this speaker, and it’s not going to be for everybody. If you’re looking for a bargain, this is certainly not the speaker for you. B&O is a luxury brand. Just like a Mercedes, you’ll get noticeably improved performance over affordable brands. But the cost jump is pretty significant. If you’re not interested in wireless capability, the stylish design, or 360-degree audio, there are cheaper speakers that will sound just as good. Listening to the BeoSound 2 was one of the most unique audio experiences we’ve had. The detailed, full-bodied sound stays true to the music, while enabling you to hear your favorite songs in a way you never have before. Combined with material design that borders on art, the word “experience” is the only way to describe what it’s like to use the BeoSound 2. We hope that this is the first of many full-size WiFi speakers. Integration with streaming and network services make the speaker very easy to use, which is aided by the advanced controls. If this speaker is a little out of your price bracket, you’ll be happy to know that the same basic hardware is found in the BeoSound 1. 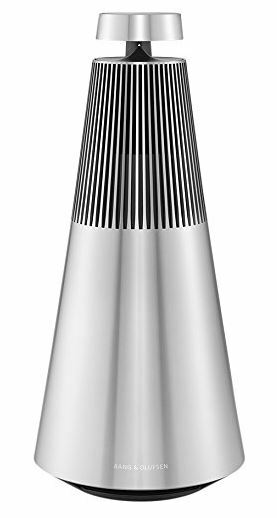 The BeoSound 1 is a little less analytical in nature, but still a very high performing speaker. 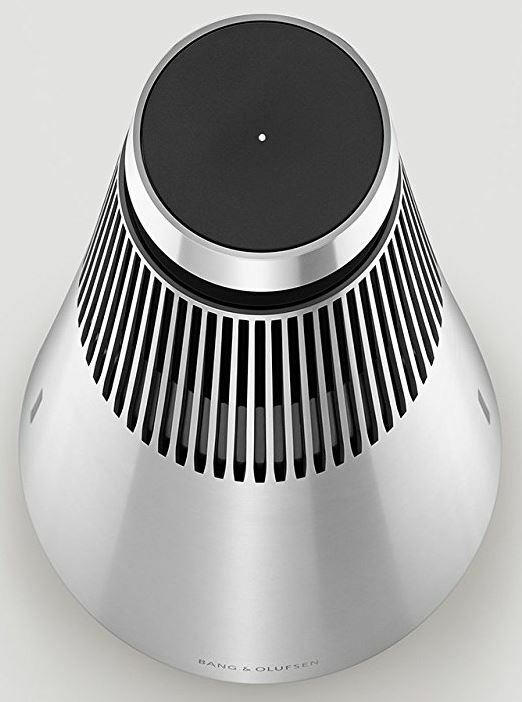 Regardless which model you choose, the BeoSound speakers are in a class of their own. They might not be for everyone, but it’s clear to us why they have such a loyal following.